La Salle, Greenhills–Various groups have gathered today for the annual commemoration of the EDSA People Power Uprising. 33 years ago, when the Filipino people collectively defended democracy and toppled the dictator-tyrant, Marcos. 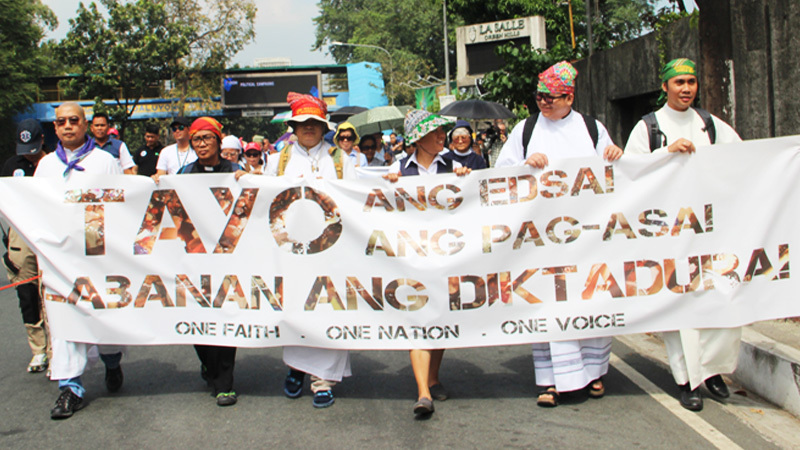 Church people from various denominations including the National Council of Churches in the Philippines (NCCP) joined the gathering to commemorate the event and to affirm the spirit of freedom from that historical moment amidst intensifying repression. “Church people have played a significant role in our history defending the dignity of our people, and we still have an obligation – an unfinished job to uphold democracy, defend our rights, and protect life despite intensified repression. The church will continue to envision and work for a world where equality is achieved. Our Christian faith compels us to work and advocate for a just peace,” Ms. Minnie Anne Mata-Calub, NCCP Acting General Secretary said. “In the face of adversity casted upon by evil tyrants, the EDSA people power uprising is proof that social justice triumphs over injustices,” Ms. Calub added. 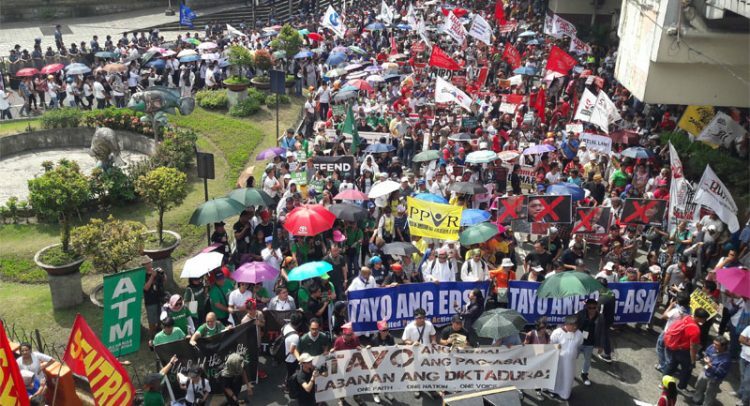 The commemoration entitled “Tayo ang EDSA, Tayo ang Pag-Asa, Labanan ang Diktadura” is a continuing call to resist a system of repression, and culture of impunity that organizers of the gathering say has plagued the country under the present dispensation. This is part of the One Faith, One Nation, One Voice event, building on that synergy last January 25th at Rajah Sulayman. The gathering is another effort to unite church people and other sectors to rise up against the current spate of attacks against churches, the media, and human rights defenders by the Duterte government as part of the commemoration of EDSA the People Uprising. 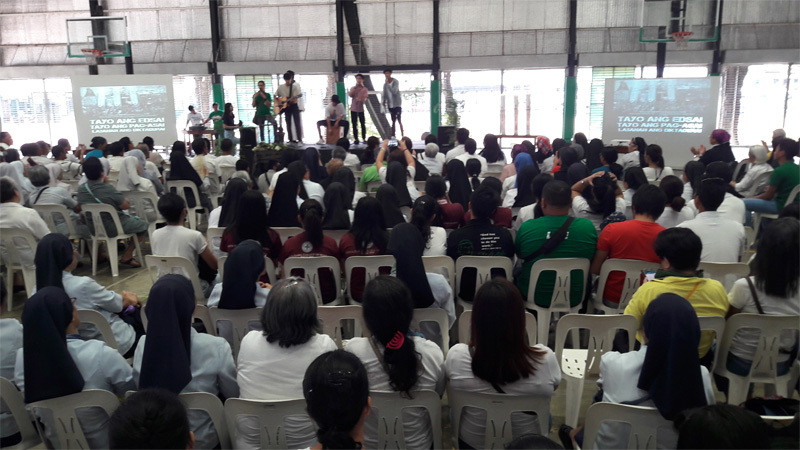 “We should always draw inspiration from the thousands of people who rallied behind truth, who did whatever it takes to seek justice and accountability to those who abused the power entrusted by the people,” the NCCP Acting General Secretary said. “As witnesses to the EDSA upheaval, it is our role to re-tell the unrevised history to our children and children’s children. We should not allow the future generations not to have a memory of the first EDSA and its significance”, Ms. Calub ended.